In a world of increasing trade tensions, sometimes involved parties just want to talk. Such was the case last week, as China initiated a World Trade Organization (WTO) dispute complaint seeking consultations with the U.S. over the $16 billion in tariffs that went into effect Aug. 23. The U.S. announced an initial $50 billion in tariffs earlier this year, which went into effect in two tranches. First, $34 billion in tariffs on imports from China began July 6. Following a review period, the remaining $16 billion went into effect last month. According to China’s request for consultations, the U.S. measures — which were pursuant to Section 301 of the Trade Act of 1974 — are inconsistent with some provisions of the WTO’s General Agreement on Tariffs and Trade (GATT) 1994. China’s request was circulated to WTO members Aug. 27. In response to both U.S. tariff tranches, China has responded in kind with a total of $50 billion in tariffs on U.S. goods. That included a retaliatory $16 billion in tariffs, a 25% rate on 333 U.S. products that included motorcycles and passenger cars. 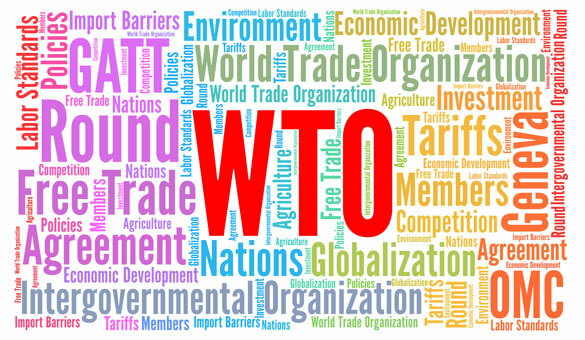 As for the WTO itself, it is an organization that has come in for criticism on numerous occasions from President Donald Trump. In March, during the announcement kickstarting the process that produced the aforementioned tariffs on China, Trump said the WTO has been very “unfair” to the U.S. Meanwhile, in an interview with Bloomberg News last week, Trump threatened to pull the U.S. out of the global trading body and called the decision to form it “the single worst trade deal ever made,” harkening to his comments throughout the past year on the 24-year-old North American Free Trade Agreement (NAFTA). Bluster or not, a U.S. withdrawal would have a significant impact on the trading body. Similarly, according to a number of media reports, the president last week indicated he wanted to move forward with the previously announced additional $200 billion in tariffs on Chinese goods. With respect to what has already gone into effect, $50 billion is positively minuscule in comparison. Like the WTO threat, it remains to be seen if the U.S. will be riding this particular $200 billion tariff train. The proposed list of products that could be slapped with tariffs as part of the $200 billion grouping can be found here.